Brian Gunn is a retired Professional Engineer. 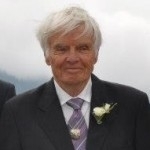 He graduated with a BASc (civil engineering) from UBC in 1962 and received his P.Eng in 1965. Brian’s engineering work experience began in 1963 with construction supervision for Canadian Comstock of the CN Mt Jarvis Aerial Tram to service a trans-Canada microwave Network. From 1965 to 1985 Brian worked on small and large materials handling projects as a project manager for Swan Wooster Engineering, both in Canada and overseas. 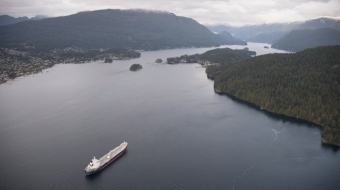 After Swan Wooster, Brian worked for 5 years with Westshore Terminals (WST) as their engineering and maintenance manager for the Roberts Bank coal handling facility in Tsawwassen, BC. He ended his full time engineering career working as WST’s project manager for the expansion phase 2b for 2.5 years as an independent consultant from 1990 – 1993. In 1989 Brian started the Big Bar Guest Ranch in the Cariboo country of BC. During that period of time Brian became active in representing the members of the Cariboo, Chilcotin, Coast Tourism Association and the BC Guest Ranch Association on issues to do with tourism, particularly land use conflicts with other industries. In 1998 Brian left the ranch and became the marketing manager and consultant on engineering matters for Strathcona Park Lodge and Outdoor Education Center located on Vancouver Island. In 1999 Brian was instrumental in the formation of the BC the Wilderness Tourism Association (WTA), representing nature-based tourism operators on land and marine use concerns. Brian was elected president of WTA in 1999 and remained in that role until 2012. He is now Past President and is still active in advocacy work.